It might not be quite as cheap as the most affordable Windows RT tablets, but Acer is definitely aiming for thinner wallets with this Windows 8-powered hybrid. Acer has delivered a very usable little Windows 8 tablet in the W510 and if your storage needs are slim, the sturdy construction, light weight and incredible battery life make this a tempting tablet hybrid. 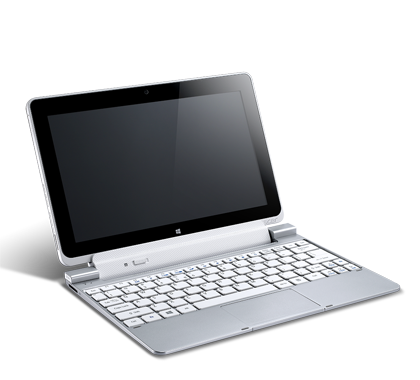 The Acer Iconia W510 retails for Rs 46,349 with the keyboard dock. 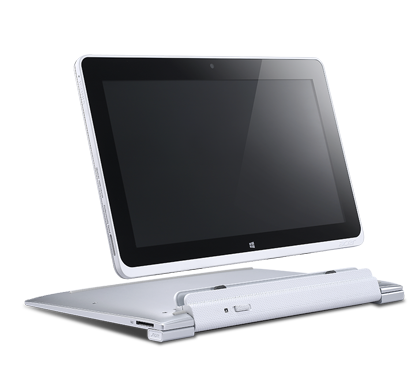 If that’s too expensive for you or if you don’t need the dock, you can opt for only the tablet, which costs Rs 35,019. That’s a very good price considering high-end hybrids cost thrice as much and the premium ones such as the HP Envy x2 (which also comes with a keyboard dock) cost around Rs 14,000 more. We’ve been eagerly awaiting the arrival of the Atom-powered Windows 8 tablets, and, despite a patchy performance, the Acer demonstrates exactly why. The OS is the big issue here: while Windows RT is hamstrung by its lack of apps and inability to run x86 software, Acer’s Iconia W510 is limited only by the power of its Atom processor. Within reason, you can run whatever Windows applications you like. 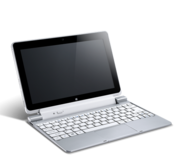 It’s sorely lacking in premium appeal – the plasticky hardware is uninspiring at best – but, for those hoping for a halfway house between a Windows netbook and Android or iOS tablet, the Acer Iconia W510 may prove just the ticket. 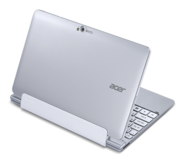 The Acer Iconia W510-1422 may not be the fastest tablet—it's pretty slow for anything beyond Web browsing and document editing—but it does offer portability and unparalleled battery life. But while the ability to pick up and go for hours and hours on end will definitely spark some interest, the Iconia W510 is still underpowered and lacking in features. 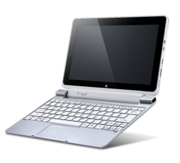 That said, if you want something portable and convenient—and that works with a range of Windows software—the Acer Iconia W510-1422 is worth your consideration. This machine is ready for the 2013 season of Windows 8 action, but it’s not going to replace your MacBook Air. It’s not meant to – if you’re a Windows user and want a mobile device ready for everyday action and a relatively large amount of battery time, that’s where you’ll find the greatness in the Iconia W5. 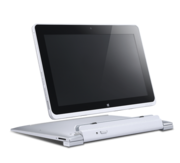 The whole setup is solid, the presentation is ready to take on the top competition in the market today, and it’s easily one of our top choices for convertible tablets running full Windows 8 today – and not just because there aren’t many of them out there! In our tablet tests, the system fared far better. Performance was on par with its Atom-based peers, though battery life dropped to only about 8 hours in our continual video rundown test. Subjectively, the W510-1422 unit feels nimble enough, and 1080p video played fine in the Windows 8 video player. The popular VLC player had issues using its own internal codecs, so if that's your preferred player, you'll need to set it to use the system codecs. The detachable-screen hybrid Windows 8 laptop feels like a check box nearly every PC maker needs to hit for 2013. None of the variations on this theme is as elegant as the best clamshell or convertible laptops, and some of the prices we've seen will be hard for consumers to swallow. 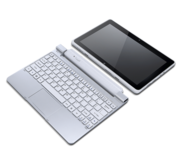 That said, the Iconia W510 works well as a standalone tablet, and has very enviable battery life, but it is hampered by a high price, clunky keyboard, and too many micro-style ports. 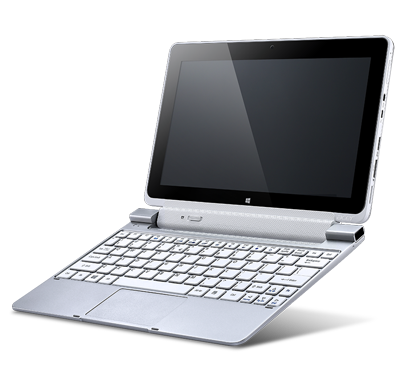 For people who move around a lot, the Iconia W510's astonishing 18-hour battery life (with the keyboard plugged in) is one point in favour of this convertible netbook/tablet. While it isn't powerful enough to make use of the vast catalogue of programmes available for Windows 8, it does offer a fluid experience. The W510 will get you where you're going, but only as long as you stick with basic productivity and web browsing. The W5's widescreen display will appeal to some, but kill the deal for others--a major conundrum for those eyeing the Surface and other Windows 8 tablets as well. In the end, eying those others might be a good idea--the W510 is a decent product, but it's not great and there's a lot of competition. 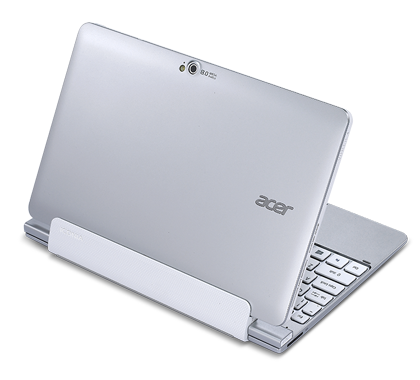 The 10-inch Acer Iconia W510 comes very close to being our favourite Windows 8 convertible tablet/laptop with Atom inside. It’s smaller and lighter than 11.6-inch rivals, but doesn’t compromise on resolution, connectivity or battery life to get there. 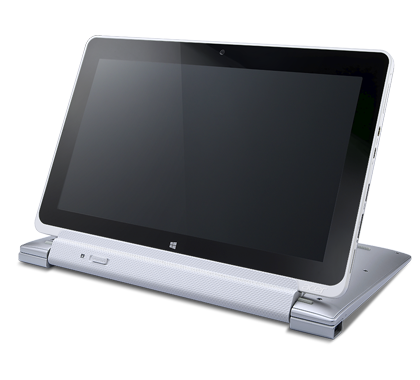 It also sports a unique (at least for a detachable convertible) rotating hinge that genuinely expands it usability, while its screen and speakers more than hold their own. 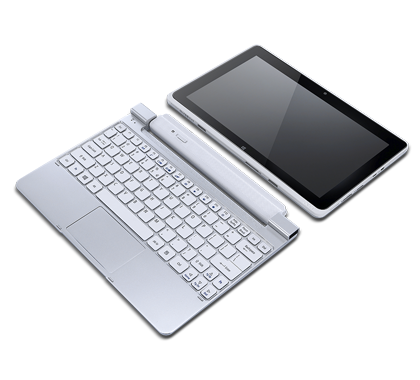 Unfortunately, the keyboard won’t be for everyone due to its poor layout, and the touchpad is rather stiff. If you can live with these flaws and don’t mind the absence of a Wacom stylus, this hybrid comes recommended. 72.44%: Diese Bewertung ist schlecht. Die meisten Notebooks werden besser beurteilt. Als Kaufempfehlung darf man das nicht sehen. Auch wenn Verbalbewertungen in diesem Bereich gar nicht so schlecht klingen ("genügend" oder "befriedigend"), meist sind es Euphemismen, die eine Klassifikation als unterdurchschnittliches Notebook verschleiern.